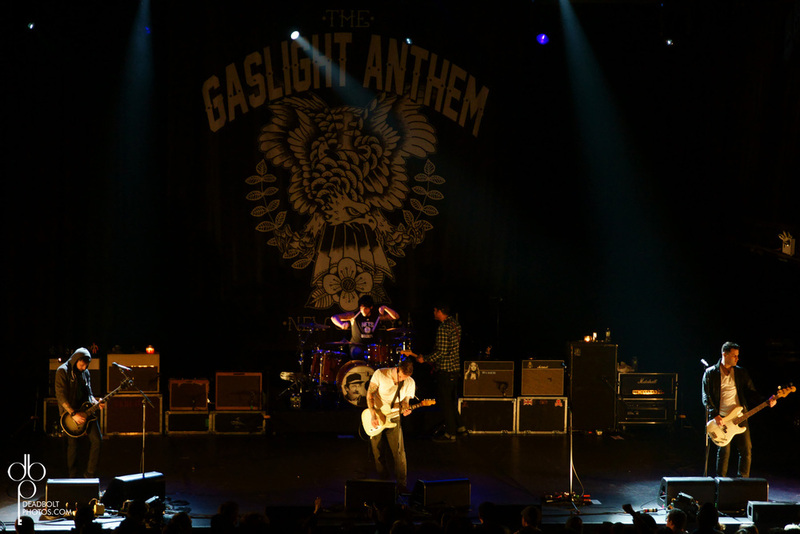 Like almost everyone else, in 2012 I fell in love with The Gaslight Anthem. Especially coming from NJ, there isn't really anyone in a 100 mile radius that doesn't love them. In 2012 they released "Handwritten" which was one of my favorite albums of the year. Along with seeing them play at least 4 times, I got to shoot a couple of their shows as well. The last one was November 28 at New York's own Terminal 5. For this show in NYC, TGA brought along Laura Stevenson and The Cans for support. A great band that included an accordion at times, they were a lot of fun to watch. Shortly after they finished, The Gaslight Anthem took the stage. Brian Fallon, Alex Rosamilia, Alex Levine and Benny Horowitz have spent the last few years carving out something really special for themselves. And from their excitement and crowds' screams, NYC feels like home to them, I'm sure.